It’s that time again, Free Pattern Friday! I made this pattern a few months ago and have been meaning to post it. I normally design my patterns in Photoshop, but this one I drew out on graph paper. 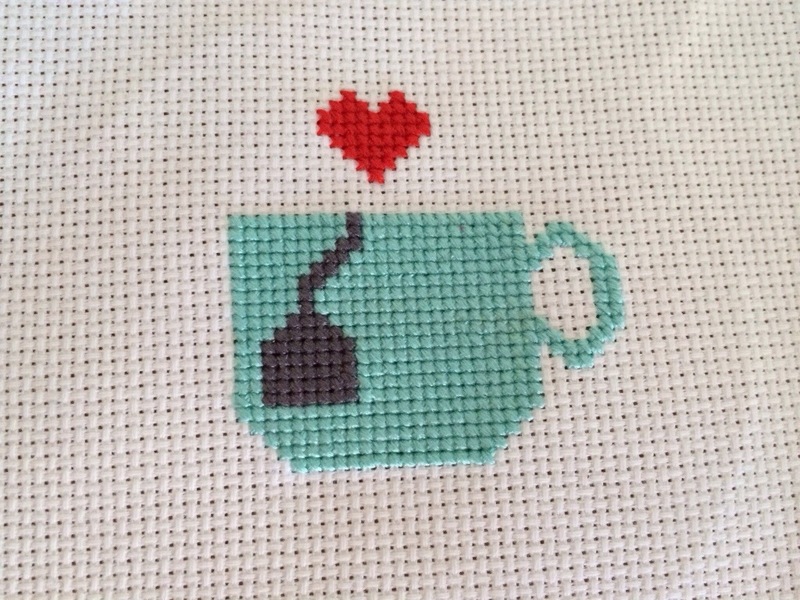 I was in the mood to do a quick, cute, little cross stitch and this fit the bill. It’s about 2.25″ and fits nicely into a 4″ hoop. I am a huge tea fan, lately it’s been iced tea, but with the cooler weather I’ll start brewing up some hot tea too. 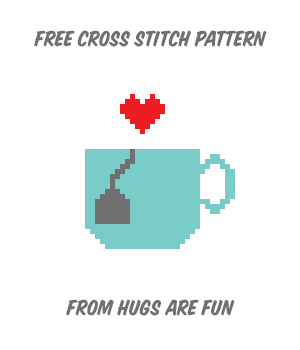 So grab a mug and start stitching! Thank you! Hope you enjoy stitching it! It goes fast! It looks great! Thanks for showing me!